Somewhere in this photo are twenty year old Marion Stokes of Enniscorthy, her twenty four year old brother Tom and their fifteen year old brother Patrick. The Easter Rising of 1916 has just ended and along with their comrades in Cumann na mBan, The Irish Volunteers and Fianna Éireann, they're being marched out of Enniscorthy's Athenaeum, the last garrison in Ireland to surrender. So I don't know the nuances of what drove Marion and her brothers to take up arms and fight for an independent Ireland. But I know that the Proclamation of Independence read out from the steps of the GPO in Dublin guaranteed equality for all citizens, whose loyalty it claimed. After the Rising Cumann na mBan, the women's organisation of which Marion was a member, reiterated its dedication to the idea of an independent State founded on the principle of equality for all. In the absence of memory, I must assume that equality was at least one of the aims for which Marion was ready to die. 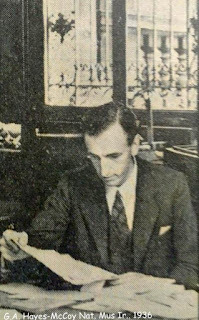 When he was working there in 1941, my father, who was a historian, curated the The National Museum of Ireland's first full-scale exhibition commemorating the 1916 Rising. He never spoke to me about Marion's involvement, though he knew her well and had advised her when she was involved in setting up a museum in Enniscorthy Castle in the 1960s. I visited that museum in my childhood. 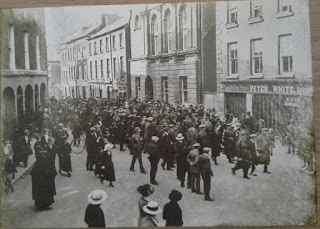 There was no reference there to her involvement in The 1916 Rising or to the fact that, with two other Cumann na mBan women, she had raised the tricolour over Enniscorthy's Athenaeum. As my mother said, she didn't like to talk about it. Marion wasn't alone. Thousands of Irishwomen were involved in the cultural revival and the struggle for independence in the early decades of the twentieth century. 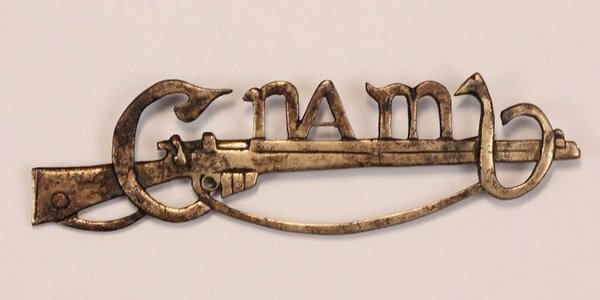 Both Citizen Army and Cumann na mBan women rose with the men in Easter Week and hundreds of others across the country were prepared to join them. Very few of those women seem to have wanted to speak of it afterwards. Those who did spoke in voices that weren't heard, often because of State and Church censorship. And Irish historians of the period had much to deal with in terms of State control and manipulation of information. The children on the cover of my latest memoir are my aunts Cathleen and Evie and my mother. The State in which they and I grew up was not based on the principle of equality. Instead it was characterised by inequality, isolationism and censorship and by a web of lies, myths and denial about the complexities of the past. Since then Ireland has moved on. In the centenary celebrations and commemorations of the 1916 Rising this coming weekend women's voices will be heard as loudly as men's, and women's role in Rising will actively be recognized. Yet it's worth noticing that, even now in the year of the centenary, the fact that three women raised the flag over Enniscorthy is hardly spoken of. I don't know how Marion felt and thought as Easter week approached a hundred years ago. She could have told me. She may have told my mother. I don't know. I don't know if Marion and my grandmother, whose image appears on the spine of A Woven Silence, ever talked about it either. I know that my grandmother opposed The Rising. But she had three small girls to think about. Marion had little brothers and sisters, though. And after her mother died in 1917 while her brother Tom was imprisoned in England, she ended up raising siblings who blamed her for the tragic effect that The Rising had had on the whole family. Tom died too, only months after his mother, of tuberculosis contracted in Frongoch Prison Camp. Those may be some of the reasons why she didn't like to talk about it. And there may have been others as well: more nuanced, perhaps, less conscious or less explicable. A degree of reticence between generations is not unusual. 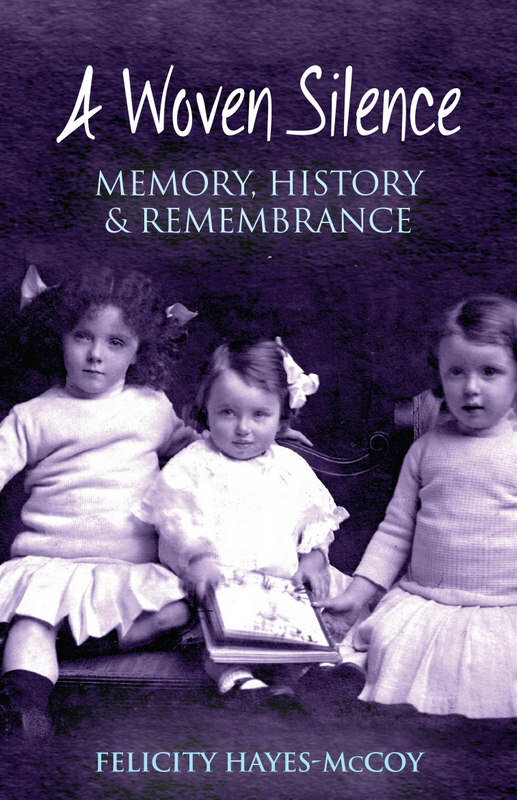 But since the setting up of the State, Irish society - and Irish women in particular - have suffered from an absence of the shared memory upon which shared values are built. Lost stories like Marion's can never be regained and the fact that they were lost - by chance or by censorship - mustn't be forgotten. It is something we need to remember, explore, understand and move on from.